We are on site at Beeston Castle, Cheshire, for English Heritage. 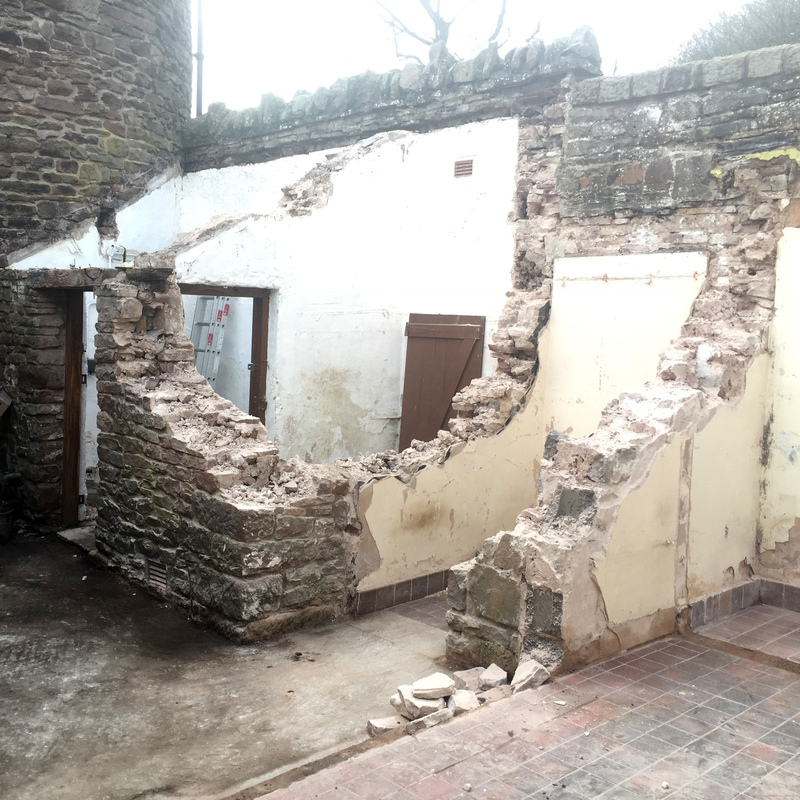 Our team is taking down the existing WC block and will be building a replacement, setting the new standard for visitor facilities at English Heritage’s properties. 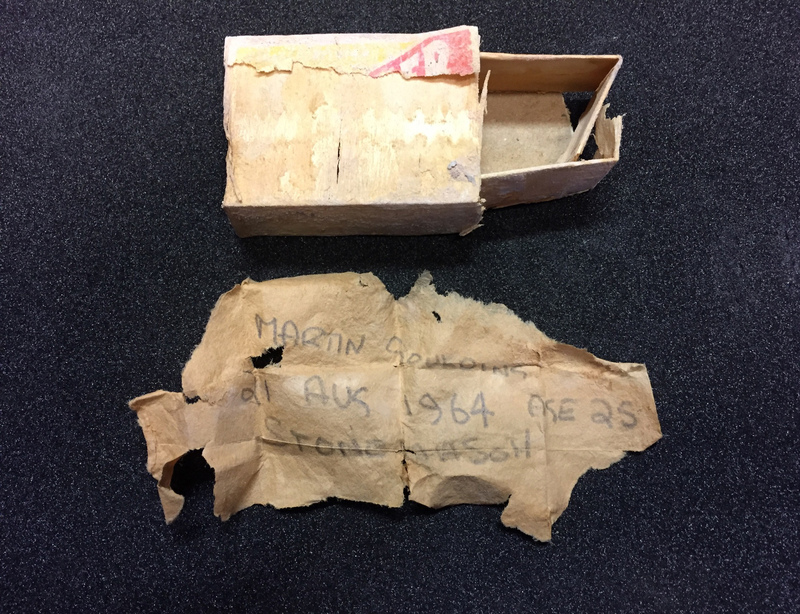 We have been carefully taking down the 1960’s walls and our site manager was thrilled to see a matchbox tumble out, containing a scrap of paper with a mason’s name and the date of 21st August 1964. 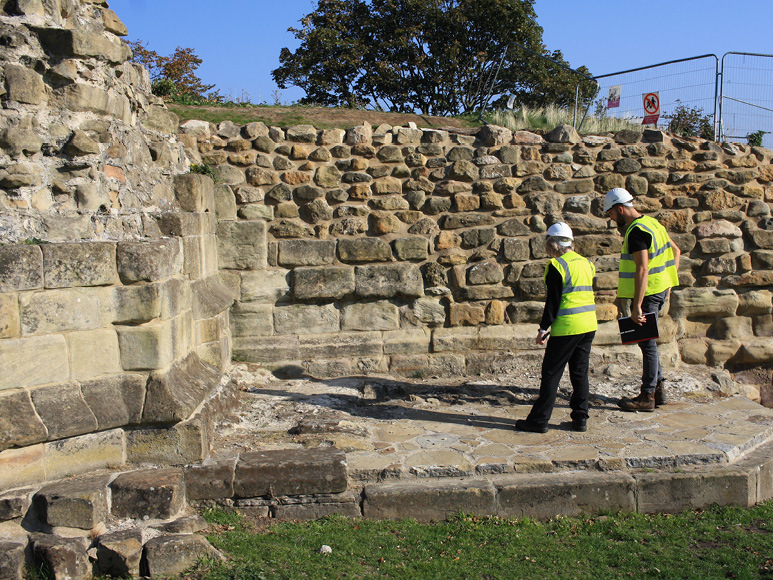 English Heritage’s Beeston Castle site team launched a social media campaign, #TheSearchForMartinGoulding. Miraculously, he was found after just a few days! 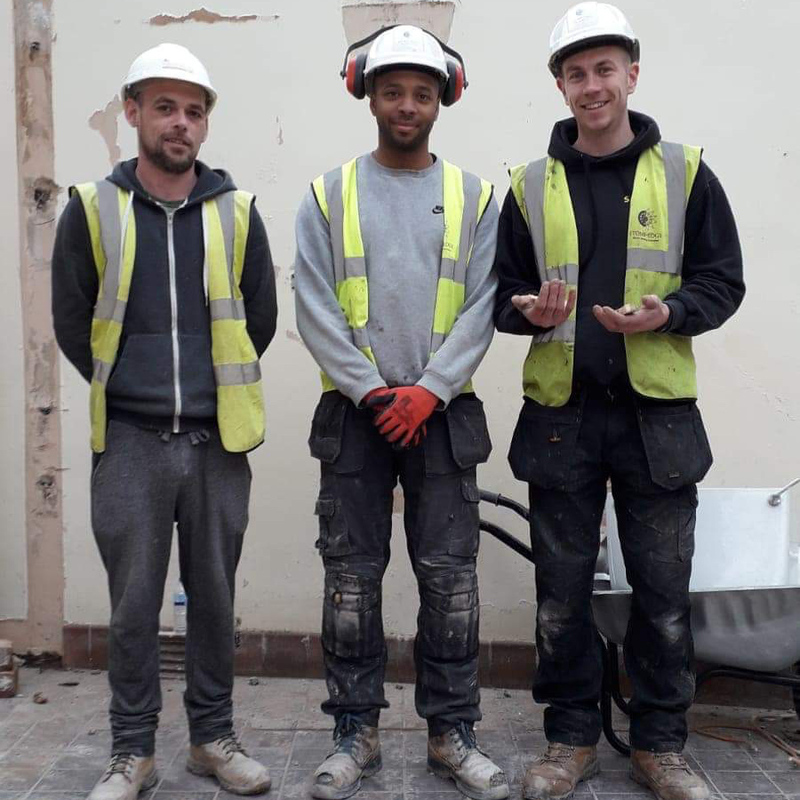 Our team was absolutely delighted to take part in his reunion with the time capsule and some former colleagues. 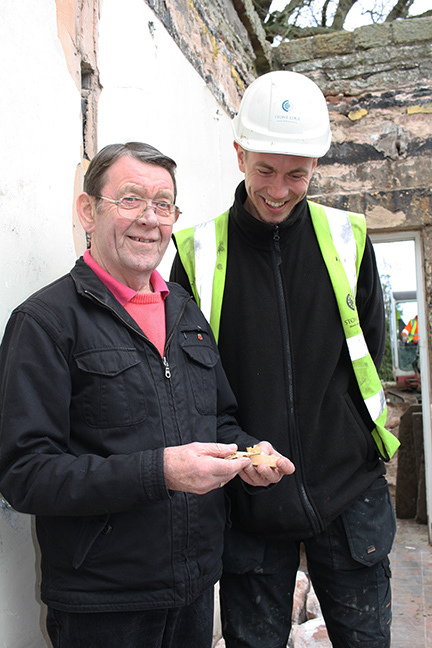 Stone Edge and the Beeston Castle team will be placing a time capsule within the new wall, to honour the tradition.